I am an stuff member of the Kingdom of Saudi Arabia Family Care Hospital (FCH).Located in Riyadh, our hospital has always been committed to providing high standards of medical care to local communities. Our hospital has 100 beds and all medical equipment is high-tech.Now, the patients in our hospital not only hope to enjoy good medical services, but also hope to use the wireless network to access the Internet during medical treatment and hospitalization.Therefore, we must meet the needs of patients so that our hospitals can become more competitive in competition with other hospitals. Our hospital is a six-story building with two basements. The entire hospital has 500 employees, so our network must cover all eight floors. Not long ago, the management of our hospital was struggling to find the best Wi-Fi solution for us, but fortunately, we soon met TP-Link. After consulting the TP-Link team, our hospital leaders decided to implement the Omada EAP245, an affordable business-grade 802.11ac Wi-Fi solution and AC1750 wireless dual-band Gigabit ceiling mount access point. 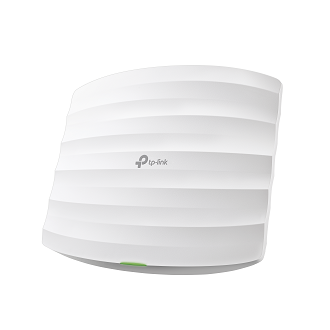 TP-Link staff told us that the Omada EAP245 has the latest technology to ensure the fastest Wi-Fi speed and maximum coverage in the entire building of the hospital. The staff checked the layout of the equipment for us and also showed the topology diagram for us. Let us know the installation location and working method of the equipment. Technicians are able to calculate all coverage and interference issues to help hospitals provide the best solution for employees and patients coming to healthcare facilities. This is really amazing. According to the installation plan, TP-Link installed 43 Omada EAP245s on the first two floors, and the EAP controller software uses the intuitive management interface of TP-Link Omada controller software to easily manage, manage and monitor from one location easily. Hundreds of EAPs. What surprised us even more is that it doesn't need to plug in the power supply, it can be powered by Ethernet alone. This is really convenient.The staff also set up Captive Portal for us to allow patients and staff to use the network through their own authentication. So far, our hospital leaders are very satisfied with the Omada EAP245 Wi-Fi solution. Now we have only installed two floors of equipment. After testing and confirming that there is no problem at all, the equipment on other floors will continue to be installed. Thanks for sharing about your hospital information with us. This is the first time, I am reading information about hospital online. I was searching something about https://robotdon.com/grammar-check/ website and while searching about it online, i have found your post. I have many friends who lives in Dubai, I will surely tell them about this hospital and tell them to recommend about this hospital to their another friends who also lives in Dubai.